Players get to dive in and try these forces out in three (!!!) 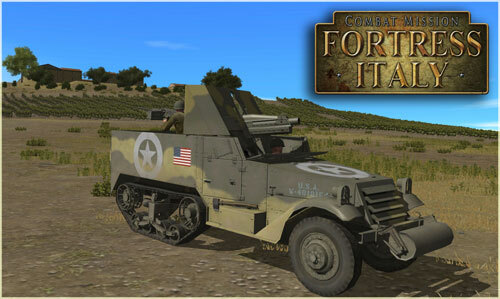 campaigns, one from the perspective of each national force (USA, Germany, Italy), a host of new stand alone battles, and of course the automatically generated QuickBattles. It won’t take long for Normandy players to feel how different this time period and setting is from what they are used to. And the Italian forces are very interesting indeed! Squads the size of Platoons, almost no radios at all, few antitank weapons, proportionally few support weapons, and relatively light armored vehicles present even the best CM player with a lot of new challenges.